Jack is Cooking | . . . 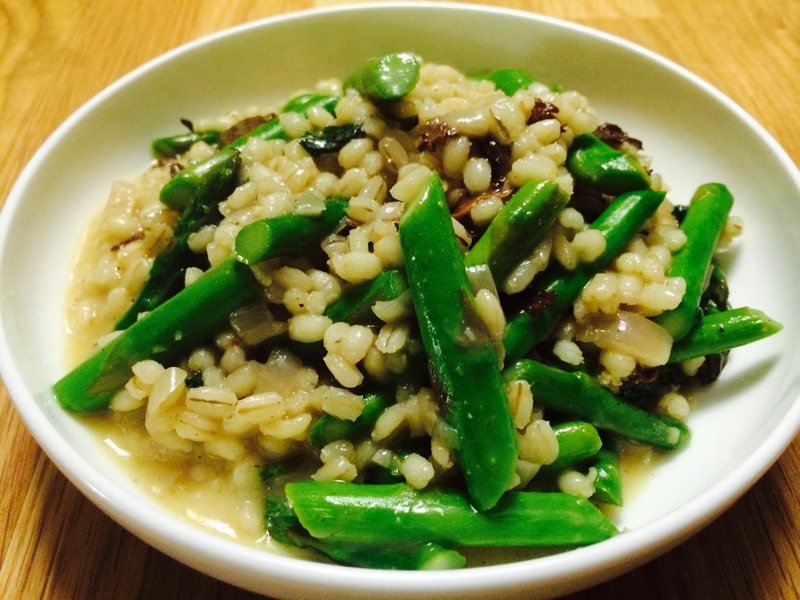 This week i have a delicious and simple risotto recipe. Usually risotto is made with arborio rice, but i decided to see what it would be like with Barley. The results were quite delicious, and its possible that i may like this version better than the original! I went for some classic and simple risotto ingredients using fresh asparagus and dried chantrelle mushrooms. Instead of presoaking the mushrooms i added them early on and let them soak up the wine and broth in tandem with the barley. This not only infused the mushroom flavor more evenly throughout the dish, but also let the mushrooms soak up the flavor of the broth. First you will want to make sure that your broth is hot, as it will work much better when it is added to the barley. Heat your broth in a small saucepan and keep to the side. In a saucepan heat up the olive oil, and sauté the onion until it is tender. Add the garlic and sauté for just a couple of minutes. Add in the barley and chantrelle mushrooms and cook for a few minutes with the onions and garlic. Add the wine to the pan and start stirring. When all the wine has been absorbed begin adding the broth, a third of a cup at a time. Stir constantly until the broth has been absorbed, before adding another third cup. It will take about 30 minutes of stirring and adding broth over low heat for all the broth to finally be absorbed. Test the barley every now and then to see how it is coming along. 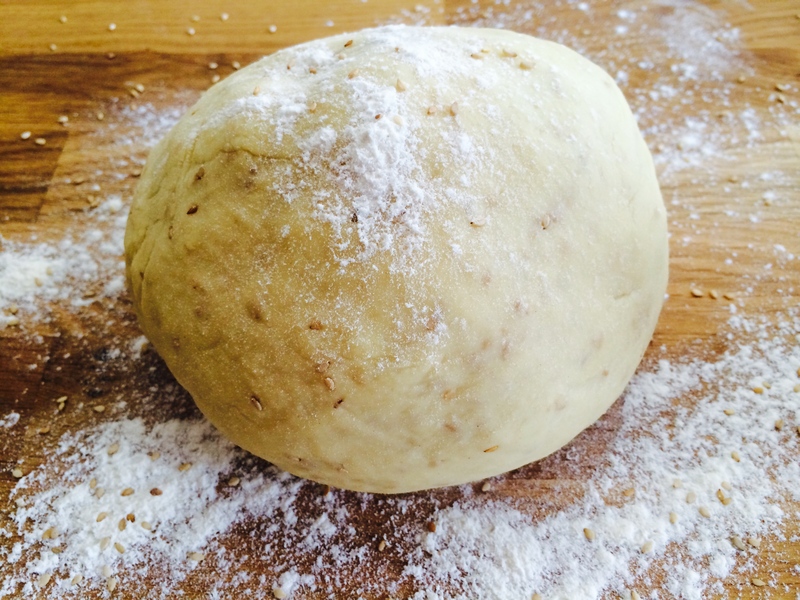 you want the barley to be slightly Al dente, but not too hard. Add the asparagus at the very end with the last of the broth and then let it simmer to cook the asparagus. Mix in the cheese right before serving, and season with salt and pepper. 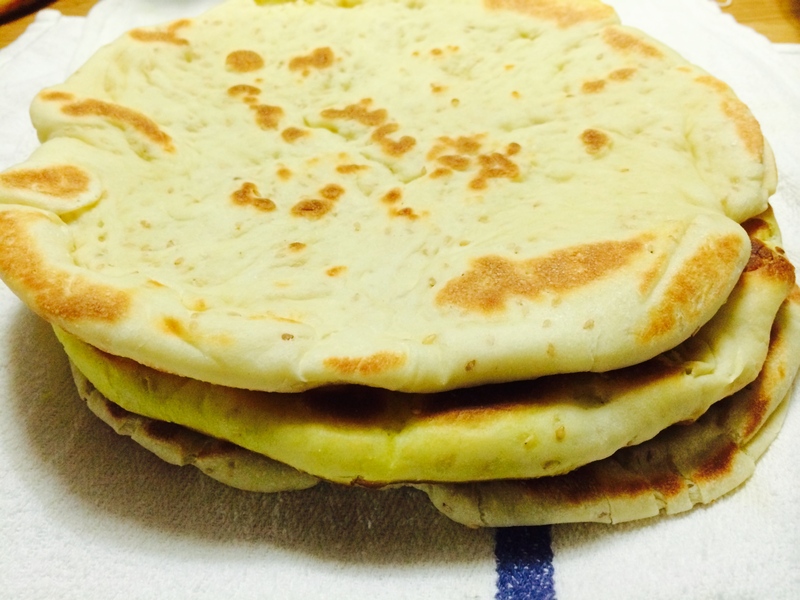 Since the Chinese new year celebration has been happening for the last week, and i absolutely love Chinese food, i decided to make a kind of Chinese pancake for my 5th pancake post. There are many different kinds of “pancakes” in Chinese cuisine, each made out of very different ingredients and cooked in different ways. 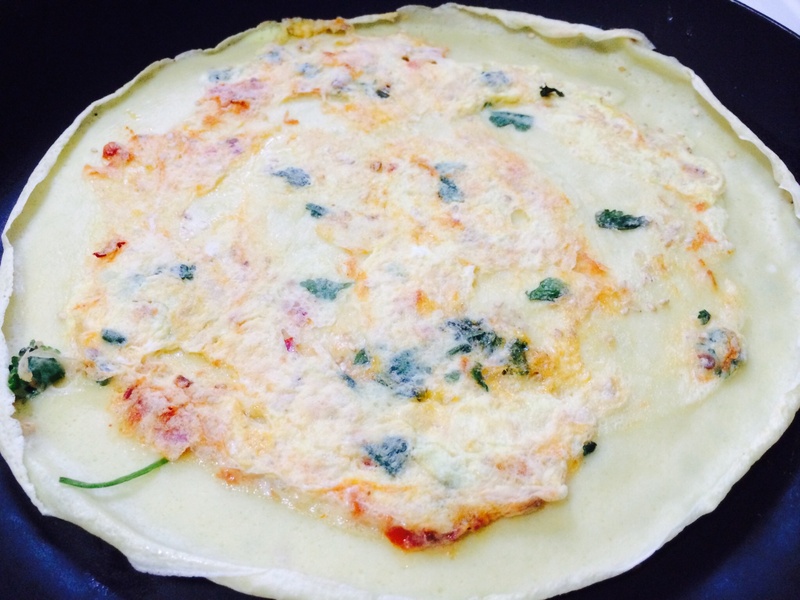 I went for what might be the closest approximation to a traditional european pancake – a kind of Chinese crepe if you will. 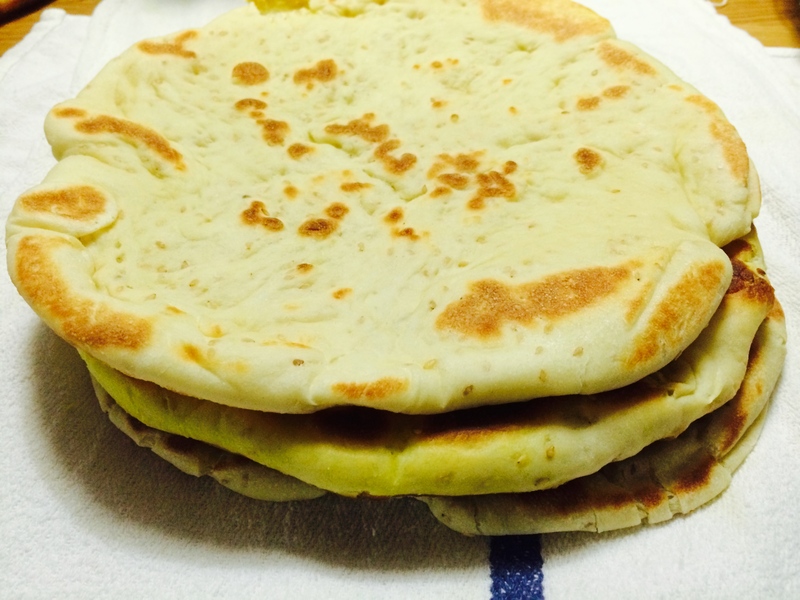 Jian Bing are a traditional Chinese street food, they can be made very quickly, and can be filled with all sorts of different ingredients, and then folded up so they can be eaten on the go. Most of the time they have some kind of egg mixture in them. 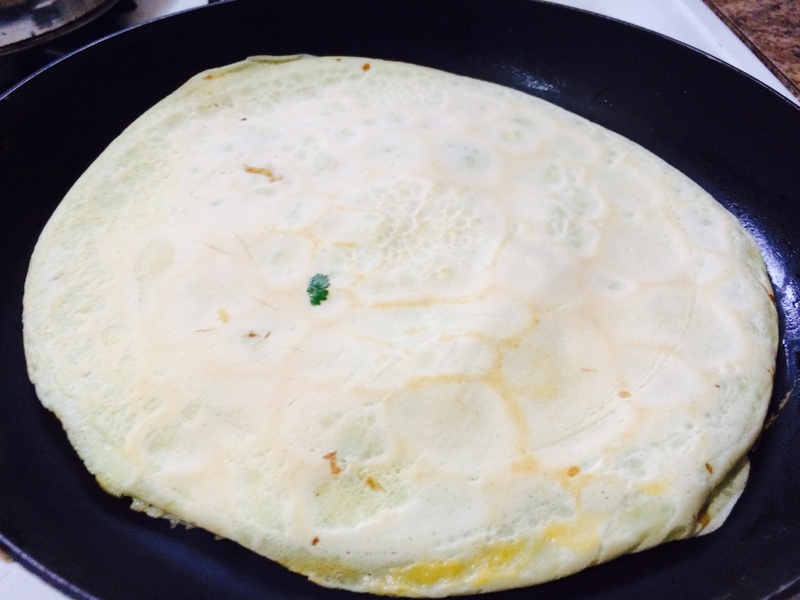 For my Jian Bing i put eggs, cilantro, chili sauce, sesame oil, and some sesame seeds. The result was not only fantastic, but these might actually be the easiest and quickest pancakes i’ve ever made. First mix all the ingredients for the batter together in a bowl. Let sit for a few minutes. 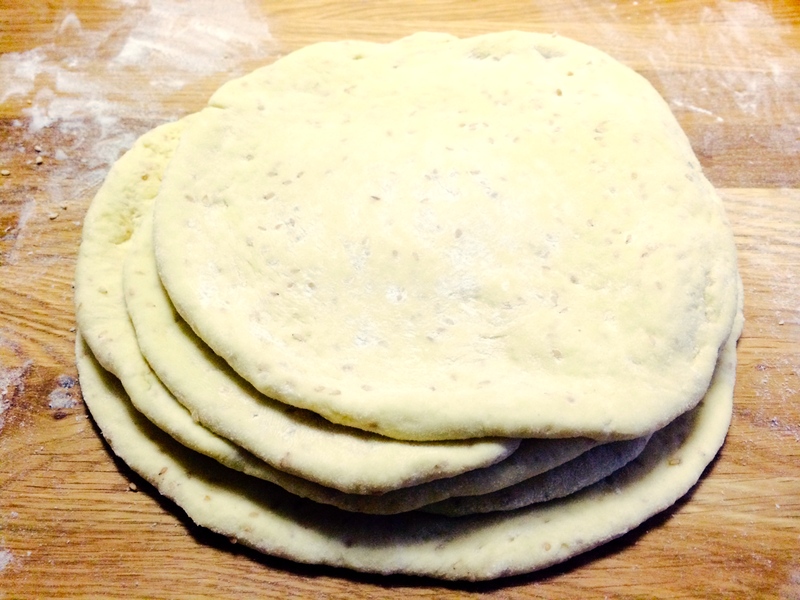 Pour a thin layer of the mix into a hot pan, and spread around to make a very thin layer. 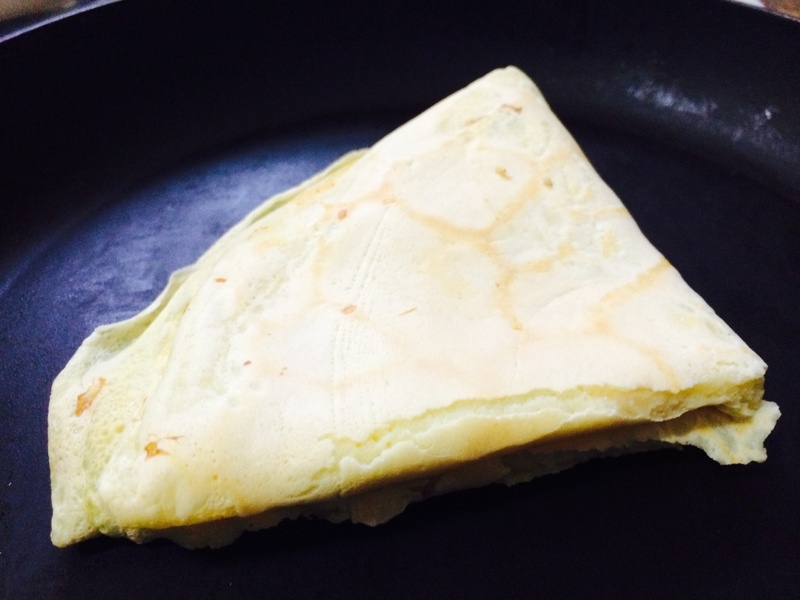 While the crepe is cooking, pour a little of the egg on top, and sprinkle a little of all the filling ingredients, continue cooking just until the egg is set. 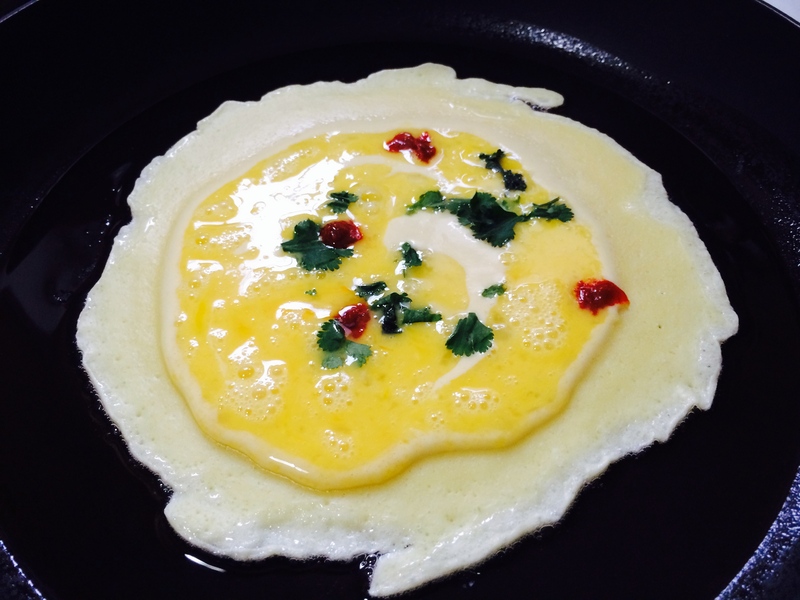 When the egg has set, flip the pancake over, just for a few seconds to cook the egg the rest of the way. 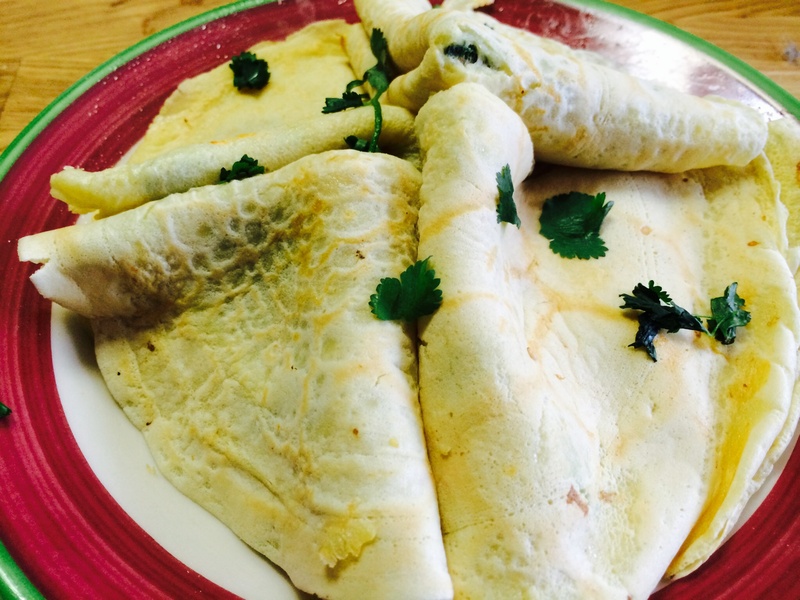 Sprinkle with some more cilantro, and serve with a little soy sauce! Pancake post number 3 is here, this week i switched it up a little and i made some pancakes out of some leftover millet that i had cooked previously in the week. 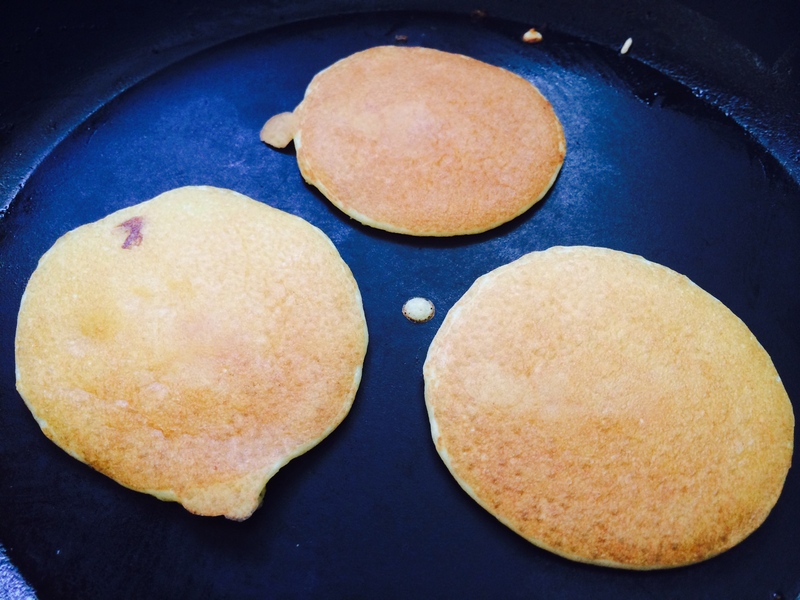 I had seen some recipes for Millet pancakes out there that are gluten free and use millet flour. This is not one of those recipes, but is a very useful way to use up some leftover millet. I wonder if the same method can be used for leftover barley or rice. To get the millet ready to be used in a pancake batter, first i let the cooked millet soak in some milk and yogurt for a few hours. You could even do this overnight, so that it soaks up lots of the milk. Then i mixed in the other ingredients which would bind it all together. Still however i was not satisfied that this would actually form pancakes, so i took a drastic step. And this drastic step made all the difference. I used my immersion blender to liquify everything. It blended all the eggs and milk and yogurt and millet and made it into a beautiful, light, bubbly, smooth batter. Things were certainly looking up. It was still a bit more liquidy than the Master Pancake Recipe, but the pancakes are almost as good if not better. 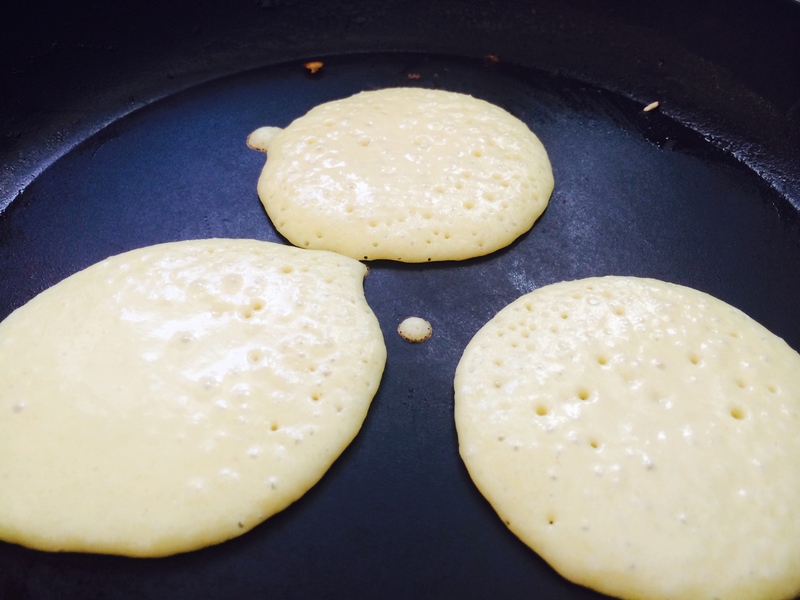 The pancakes get very bubbly when they are ready to flip! First soak the millet in the yogurt and milk for at least 2 hours. Combine the dry ingredients in a separate bowl. 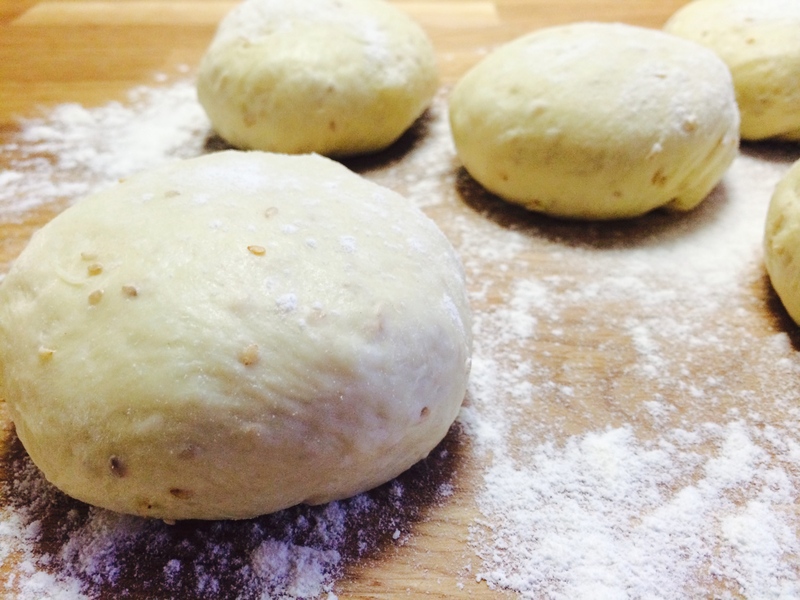 Make a well in the center of the flour, and pour the liquid mixture into the flour while mixing. Once everything is mixed together take an immersion blender (or put it all in a vitamix!) and blend until everything is silky smooth. Heat a pan and cook as you would regular pancakes, the pancakes are quite delicate so you want to cook them until they begin to dry out on top, otherwise they will fall apart when you flip. Keep a constant eye on the temperature of your pan too! you want a very even medium heat. 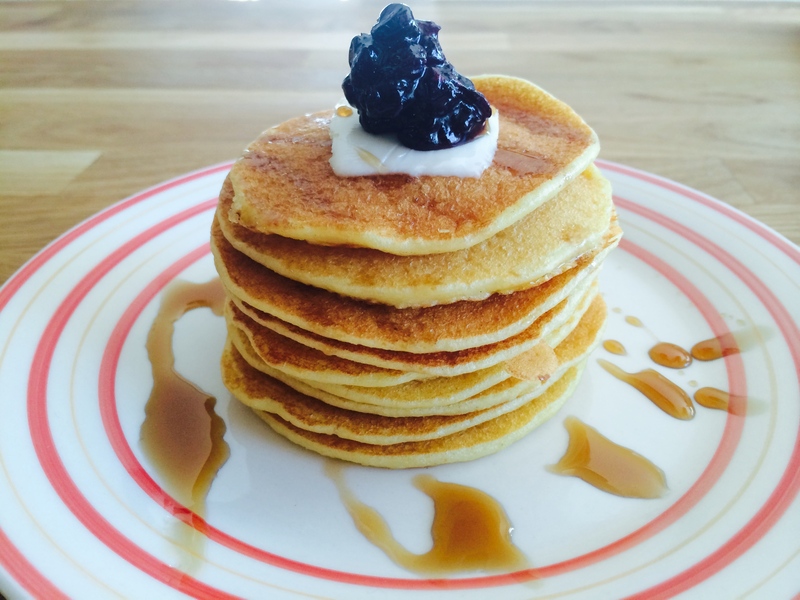 I served mine with some wild blueberry preserves, butter, and some maple syrup! 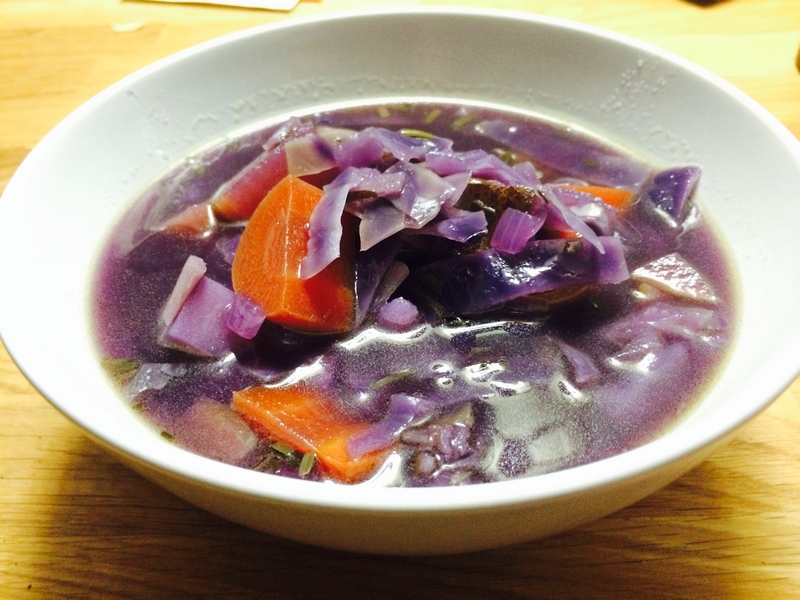 Here’s a quick and easy soup to make that not only is extremely delicious, it’s also purple! I made this soup last night in less than 30 minutes, out of just about everything i had left in my fridge. Earlier in the week i have made some fresh chicken stock – i’ll probably make a post at some point detailing that, but chicken stock is a must for this soup! Whether you make it yourself, or buy chicken stock that’s the stock to use, as opposed to vegetable stock. I suppose if you really want to you could use veggie stock, but as there is no meat in this soup its nice to have all the goodness and flavor of a good stock. Everything else in the soup is kind of optional. Except the purple cabbage! 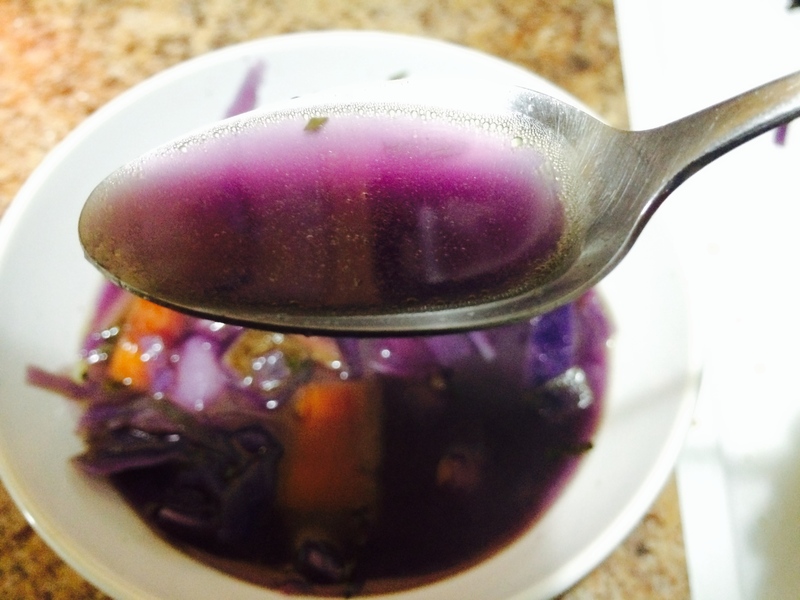 That is absolutely essential, otherwise your soup won’t be purple, and this is a recipe for purple soup! Heat a good soup pot – i like to use my medium creuset pot – and melt the butter. Add the onion, garlic, and ginger and sauté until the onion is slightly transparent. Add the rest of the veggies and the tarragon, and cook for a minute. Add the stock so that everything is covered. if you have too much veggies add a little more stock or some water. Bring to a boil, and then simmer for about 15 minutes or until the potato is soft. At this point your soup will be very purple! If you let it sit for a little while it will get even more purple! I actually made this soup very quickly, then turned the stove off and went snowboarding for 3 or 4 hours. when i came back i heated it back up and it was extra delicious and even more purple! Seriously! check out the color of this broth!